Cellulitis is an acute infection of the skin and soft tissues, usually developing after a break in the skin. The condition is characterized by localized pain, swelling, tenderness, erythema, and warmth (Fig. 33-37). The vast majority of cases are caused by Streptococcus pyogenes or S. aureus. Other causes include Vibrio vulnificus and Pseudomonas. Cellulitis is generally localized and nonrecurrent when treated appropriately. Mortality is extremely rare but may occur when the condition is neglected or caused by a highly virulent organism. 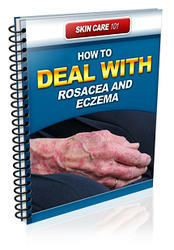 Patients typically present with a red, hot, swollen, and tender area of skin. Unlike erysipelas, the borders are neither elevated nor sharply demarcated. Lymphangitis and local lymphade-nopathy may be present. Fever is common, and patients with severe cases may develop hypotension. Those with mild cellulitis may be treated as outpatients. Oral antibiotics are usually effective for treatment of cellulitis in immunocompetent hosts. Severe cases or patients with comorbid conditions (e.g., cardiac, renal, or hepatic failure, immunosuppression) should be initially treated with IV antibiotics in the hospital setting. Elevation of affected limbs improves resolution of swelling.